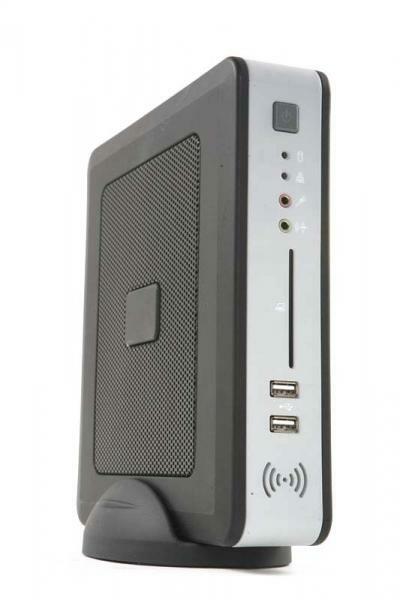 The 5500 series Value Class Thin Client (VIA 1 GHz Processor, 1 x PS/2 port, 1 x DVI, 4 x USB) is optimized to work as a green screen terminal replacement yet it mirrors the features of a Thin Client. These Ethernet Terminals include a combination of both power and flexibility that allows the units to have a boot up of half the ordinary duration. 10ZiG's 5500 series beats competition with the enriched green screen environment that this unit provides. These Thin Clients offer exceptional features and benefits without compromising the users precious desktop workspace. The 5500 range comes with a removable stand and an optional VESA mounting bracket allowing the unit ot be mounted on the back of the monitor, on a wall or in a cabinet if required, to maximize on space-saving. The 5500 series Thin Clients support four modes of operation; Desktop Mode, WBT Mode, Kiosk Mode and TBT Mode. Free Trial Demos Available! Please Call.